Infrastructure for irrigated agriculture in South Sudan is yet to develop. 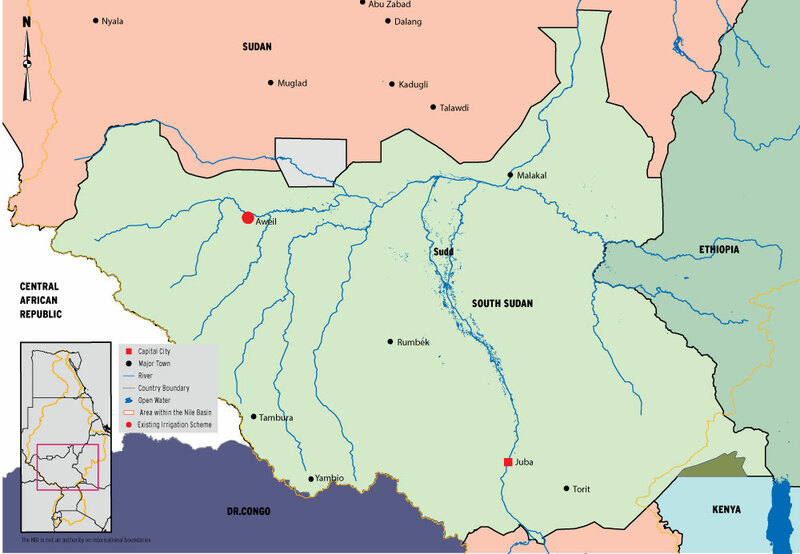 Currently, there is one irrigation scheme, the Aweil scheme located in the southern bank of the Lol river, with a total equipped area of 500 ha and an estimated cropping intensity of 30%. The main crop cultivated is rice. The total annual water demand is estimated to be 3.4 MCM with all the water coming from Lol River.